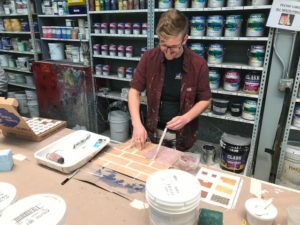 CITT Alberta invites you to join Jenny Knott, member USA 829 and Rosco Paint Product Manager, for two days of getting messy sampling Rosco paint and coating products. Jenny will have samples of all the coating products and many examples of how each product can be used for texture and aging. Day 1 (March 5): will be the introduction and getting hands dirty mixing up concoctions to resemble things like crusty rust, stucco, blacktop, concrete and more. Day 2 (March 6): will be adding the finishing touches to the dry texture boards to complete the technique. 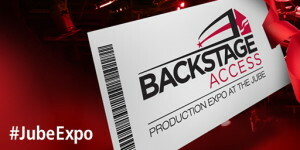 All tools, products and substrates will be supplied. Come with your questions and paint clothes. This class is limited to 15 people, please don’t delay in registering. Please plan to attend both days. 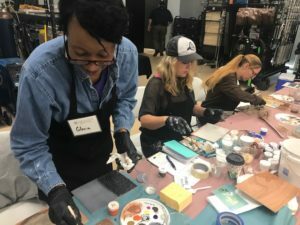 There are a limited number of spots available for anyone who would just like to show up on Day 1 and learn more about some of Rosco’s creative products. Everyone is invited to stay at the Jubilee after Tuesday’s course for more informative Backstage Access sessions as well as a trade show on stage! All included with your registration! This course is open to everyone the cost is $45 for the 2-day course or $10 if you just want to sit in on day 1. CITT/ICTS Members will receive 10% off the cost of the 2-day course. Sessions will take place at the Southern Alberta Jubilee Auditorium in Calgary on March 5th and 6th, 2018 as part of the lead-up to Backstage Access. 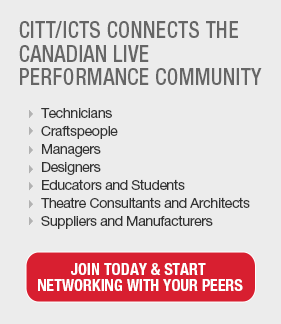 If you have any questions please contact alberta@citt.org. 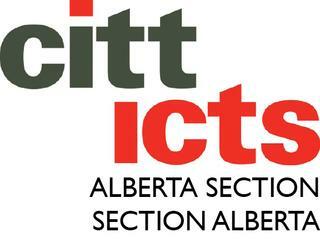 CITT/ICTS National has provided funding to help us bring this course to Calgary. The Jubilee Auditorium has been able to provide space in their beautiful building. Jenny is the Scenic Paint & Coating Product Manager at Rosco. A graduate from the University of Missouri, Kansas City with an MFA in Design and Technology, Jenny has been a freelance scenic artist for over 30 years – working for regional theatres including Missouri Rep (now KC Rep), Arena Stage, the Guthrie and Goodspeed Opera House as well as union scene shops. Jenny is a member of United Scenic Artists 829 as well as a past member of USITT’s Board of Directors. 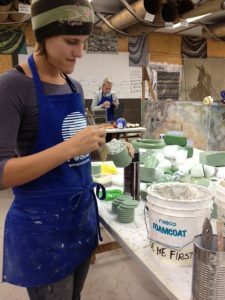 Jenny continues to paint, which keeps her current with emerging scenic artists and helps her discover new ways of approaching paint challenges. Add Alberta Section ROSCO Water-based textural effects 2-day workshop to my calendar.